Our busy client located in Austin, TX has an immediate need for an accounts receivable clerk on a contract basis. The Accounts Receivable Clerk is responsible for posting customer payments, recording cash, checks, and credit card transactions as well as invoicing. Rahil Moiz holds his MBA from Texas Woman’s University and Bachelor’s from UT Dallas. He is experienced in recruitment with emphasis on Accounting, Finance and HR positions. 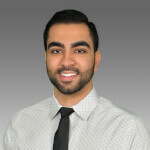 Rahil finds his greatest success is being a relationship builder between his clients and job candidates and identifying the ways that a placement will be mutually beneficial. He will spend time to become a true partner for your search, so you will never feel like just a number. Contact him today to talk about your job search! Our process is designed to save you time. There’s no need to come in to register. All you need to do is submit your resume to this position and any others that match your experience.